A side note: fish are complicated. I took photos of a few of the same species and they were pretty dull. Now that they’re in a bigger tank with more friends, they all have a pretty stripe on their side. It just shows that appearances are not always what they seem. We took the boat to Mouloundo this time, it’s an incredibly nice trip. Mangroves line the sides of the river and we saw tons of birds. 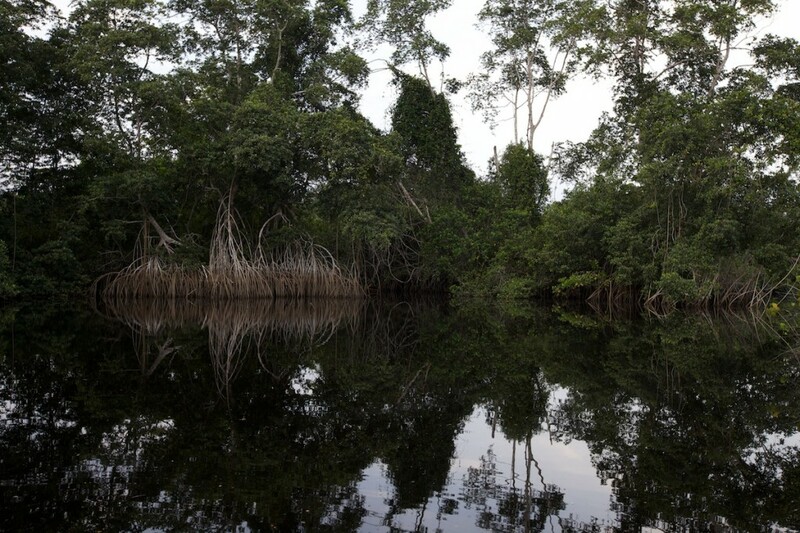 Once we were up stream a bit the water turned into the deep black that is common for a forest river in west Africa. The river is not more than two kilometers from camp, I didn’t realize it was so close; closer then the ocean. Yve had a device to check the depth of the river and it was less than a meter deep at spots! During the dry season parts of the river must dry up, at the same time the tides come in the river every day, even as far inland as our camp, so it is a really dynamic place. 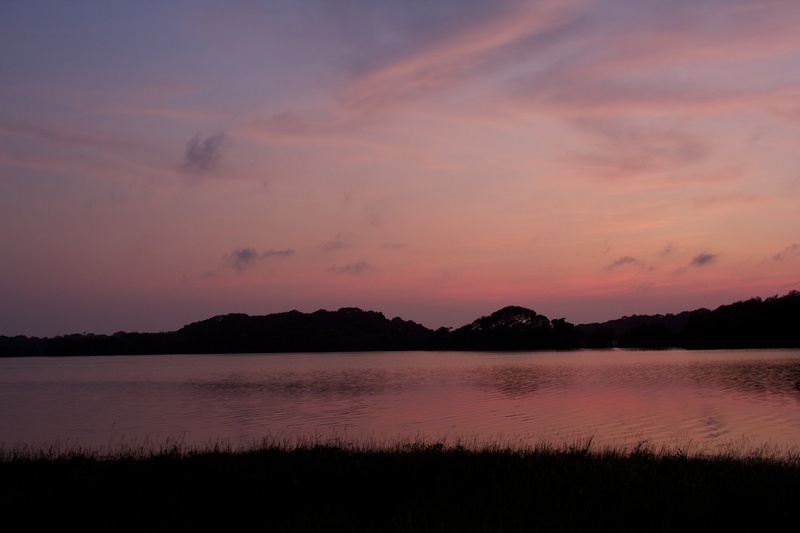 We had a gorgeous sunset the night before in Gamba.